The Play Area has been designed by Hugo Davies, one of our self-builders and a trainee Architect. It has been designed to integrate nature and communal living and is open to the wider community of Broadhempston. 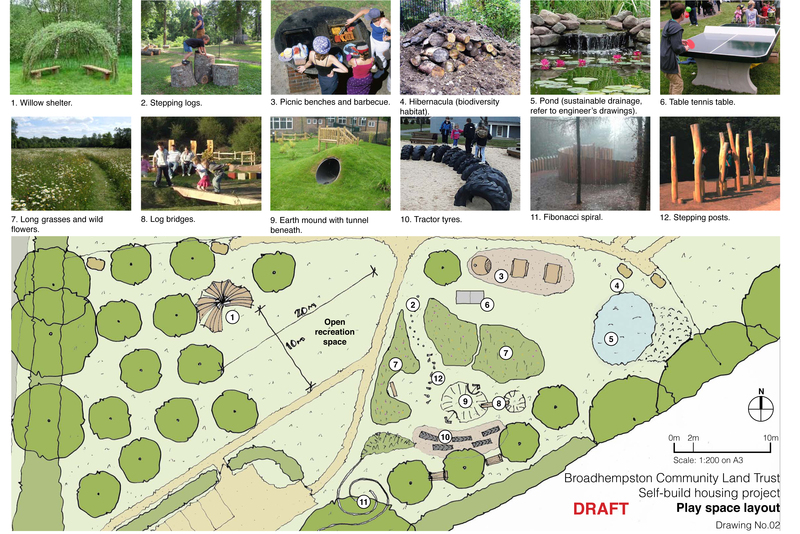 The play area has recently obtained grant funding from the Big Lottery Fund and we anticipate that it will be completed by the summer of 2016.